So you want a costume that really says “Halloween” for this year’s festivities? You want something that’s memorable, an instant classic? Hmmmmmm. Well, we don’t think you could go wrong with this Classic Pumpkin Costume for adults. It’s simple, it’s cute, it’s everything that you’re looking for in a Halloween costume! Everyone loves a good ole fashion Jack-o-Lantern. People literally go out of their way every year to hunt down the perfect pumpkin, their very own pumpKING, among an abundance of awkwardly shaped orange lumps. Once one is found that they can deem worthy, it is brought home, emptied of its innards, and carved up into a uniquely designed decoration. It’s a tradition as old as time that everyone enjoys and even passes down to their children to ensure that the custom will be continued for generations to come. 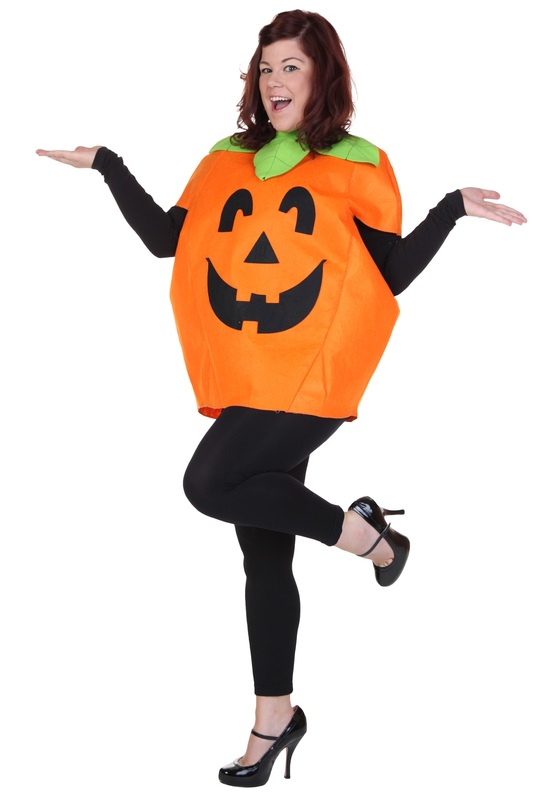 So we think it’s safe to say that when you enter the party scene wearing this Classic Pumpkin Costume, you’ll be and instant crowd favorite! Everyone will be reminded of the good times they’ve spent carving their own jack-o-lantern after a single look at you in this awesome costume. Throw on a black long-sleeve with a matching pair of spandex and this tunic will transform you into a festive decoration that puts a smile on everyone’s face. The only smile bigger than the ones on your friends’ faces is the one printed on the front of this tunic. Have a timeless Halloween costume that brings out the holiday spirit in everybody when you grab this Classic Pumpkin Costume. It will be the perfect go-to costume for years to come!